The application uses the accelerometer in your device to track any signs of motion on your body. Your avatar starts out with a level 1 potato aka the 'Tater Tot'. 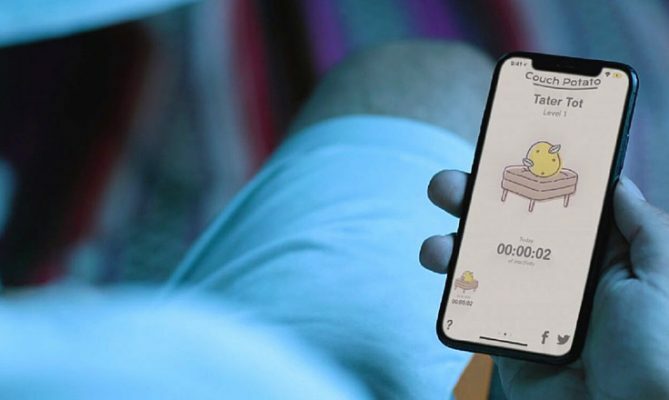 A new app that pats your back for a guilt-free session of binge and chill is the talk of the town. If you’re an iOS user, here’s Couch Potato, a gamified anti-fitness tracker for your perusal. The application uses the accelerometer in your device to track any signs of motion on your body. Your avatar starts out with a level 1 potato aka the ‘Tater Tot’. As your inactivity increases, your potato avatar makes further progress towards becoming the ‘PoGreato’ at level 9, with more leaves and spuds. Why one would aspire to be a high level couch potato, and what one would do with the statistics of this, are questions which only the enthusiasts can answer. Not only that, the potato’s furniture also gets a facelift as the levels go by. Starting off with an ottoman, the sitter advances to a comfier level of chair. The sit tracker app, probably the only-of-its-kind, aims to glorify the joy of relaxing and shun exercise. With the makers being Burrow, a luxury couch store, this is one unique way to advertise.